One of the most underreported and ignored aspects of the civil conflict in Syria has undoubtedly been the role which private military corporations (PMCs) have played in helping both government factions as well as anonymous backers pursue their goals in the region. The issue flared up again in February 2018, when a number of Russian nationals working for a PMC known as CHVK Wagner (ЧВК Вагнера) were killed after engaging in an attack on a military base in Syria’s Deir Ezzor region where “US forces” were present. Despite the fact that the Pentagon has offered few details about the incident beyond accepting Russian statements that no regular forces were involved in the operation, the extent of Western reporting on the topic has largely been to highlight the participation of mercenaries of Russian nationality in the region. Mercenaries who they claim, are allegedly working on behalf of Bashar al-Assad’s government as proxies of the Russian government. Outlets such as the New York Post salaciously claimed that Putin “had to have” approved the attack on US forces despite no US officials echoing this statement, and in fact offering information to the contrary. The truth is that no Western media outlets or government sources will admit what has been really going on in Syria – private military contractors deployed in such conflicts commonly take contracts from private special interests, aggravating already messy situations in sensitive combat zones. CHVK Wagner first appeared on the media’s radar after reports in 2014 indicated that mercenaries from the outfit were fighting in rebel held parts of Ukraine’s Donetsk region. A year later, reports from international press sources revealed that Wagner members were also present in Syria. The BBC has claimed that Wagner has around 2,500 members in Syria and highlighted a number of occasions where the group is believed to have participated in contract assignments on behalf of the Russian government. But an examination of the security group which Wagner is tied to raises more questions about whether or not these PMC organizations can truly be thought of solely as proxies for off-the-books government operations. In December 2016, Radio Free Europe named the head of CHVK Wagner as being Dmitry Utkin, a former Russian special forces member. In 2013, Utkin began working for the Moran Security Group, reported by The Daily Beast to be based in Hong Kong. However, Foreign Policy has noted that Moran is registered as an entity in Belize, with 50% of the company owned by British Virgin Islands-based Neova Holdings Ltd. Moran's website lists a number of partners including the American Marsh & McLennan Companies Ltd., an insurance giant whose services include "risk management" and consulting. Marsh has indirectly been involved with security matters for a number of years, acquiring private security corporation Kroll in 2004 before selling the interest in 2010. Moran has long been associated withtrafficking various kinds of arms and military technology to a number of international clients. 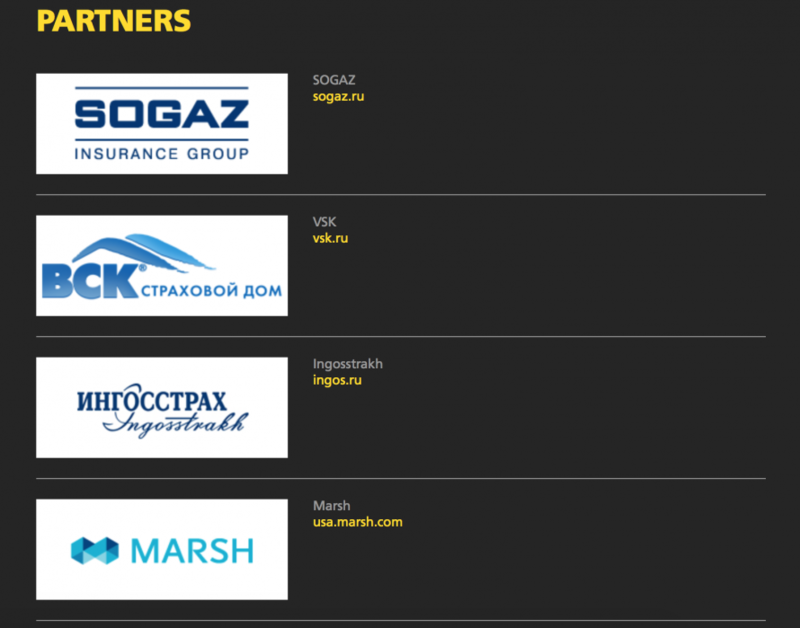 Given the company's many business ties and the wide range of countries it is associated with, branding the group or its affiliated operations as solely a proxy of the Russian government is premature. Further complicating the situation is the fact that CHVK Wagner may not solely be an operation run by Dmitry Utkin. The pro-Erdogan Turkish outlet Yeni Savak has speculated that the Argentina registered Wagner may in fact be run by other parties, while Utkin merely acts as a public face of the company. The Wagner disaster is not the first time that an operation associated with Utkin has created international controversy. A previous outfit was dissolved after taking contracts in Syria for questionable patrons. The Hong Kong registered Slavonic Corps Ltd. drew heavily from Russian conscripts through a recruiting operation located in St. Petersburg. Recruits were told that they would be defending oil fields and contracting for Bashar al-Assad's Syrian government. But as The Interpreter reported, recruits found that they were in actuality working for some other entity on the ground in Syria who may have not even been an affiliate of the Syrian government. The Slavonic Corps' mission went bad when they suffered setbacks in combat ISIS fighters posted images of military IDs obtained from members of the Slavonic Corps. The media frenzy which followed resulted in a Russian crackdown on Moran Group and the arrest of Vadim Gusev, a deputy director at Moran Group who had been associated with the Slavonic Corps. While most Western media sources claimed the crackdown was solely due to the embarrassment caused to Russia by the Slavonic Corps' failure, many ignored the fact that mercenaries in the operation were not informed about the true identity of the entity who contracted them to deploy on the mission. In fact, there does not seem to have been a serious attempt by any Western media to uncover the identity of the true sponsor who sent the Slavonic Corps on their ill-fated mission. The legendary political theorist Niccolo Machiavelli once criticized mercenaries for having “no tie or motive to keep them in the field beyond their paltry pay, in return for which it would be too much to expect them to give their lives.” Machiavelli’s sentiment continues to ring true in the present day, where mercenaries commonly operate as privately held military organizations with connections to a range of clients which complicates the process of telling who they are working on behalf of at any given time. While governments might find PMC groups as useful foreign policy tools, they are not the only customers of such organizations. Intelligence agencies have long used disreputable groups as convenient proxies, whether the United States' utilization of the Sicilian Mafia during WWII or the CIA's use of contractors involved in drug trafficking. Russia is no different, with PMC groups often drawing on recruits who have ties to organized crime. These policies by nature create liabilities in that outside groups will be able to infiltrate or influence the operations of PMCs which can be used by governments to achieve foreign policy objectives. But understanding how this can happen requires a nuanced worldview which sees institutions as malleable structures which can and do have multiple factions existing within them and vying for control at any given time. With Western media hell bent on keeping attitudes hostile towards Russia, it's not likely that this perspective will ever be adequately conveyed to the public.